You and your garments are unique and so are the alterations that need to be done to them. 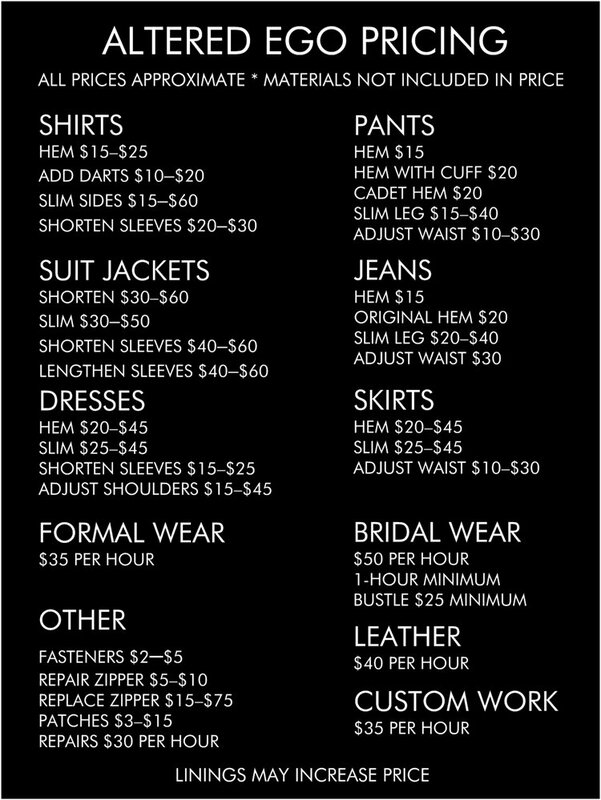 Most alterations are based on an hourly rate of $30 and we have a minimum charge of $5 on all services. To get a more accurate estimate, please schedule an appointment for a complementary 15 minute fitting. Our typical turn around is 2-3 weeks.